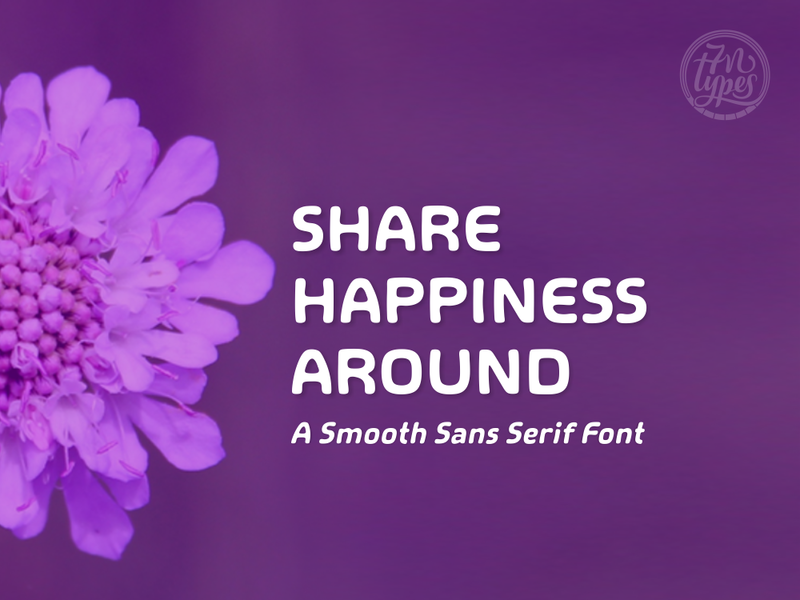 Share Happiness Around, a smooth sans serif. The rounded letters give Share Happiness Around a friendly character. It’s very legible which makes it pleasant on the eyes. It comes in 2 different versions: Share Happiness Regular & Italic.